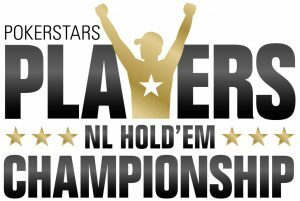 The PokerStars Players No Limit Hold’Em Championship (PSPC) was announced in December and is shaping up to be the biggest $25,000 buy-in poker tournament in the history of the game. PokerStars upped the ante by stating that it will be giving out over 300 PSPC packages or platinum passes that are $30,000 in value each. These special platinum passes will include the 25,000 buy-in while the remaining $5,000 will be spread across travel and accommodation expenses. The PSPC is expected to take place before 2019 PokerStars Caribbean Adventure (PCA) which will take place in the Bahamas in January 2019. PokerStars will be giving out $8 million in the form of 300 PSPC Platinum passes which will be awarded throughout 2018. The biggest online poker website in the world is looking to transform live poker offerings with the inaugural edition of the PSPC and have also confirmed that they’ll add $1 million to the guaranteed prize pool, which means the company is putting $9 million on the line to promote the PSPC. The 19 platinum passes is part of that customer commitment by the online poker company. PokerStars confirmed that specific events will have platinum passes to be won hosted a few platinum pass events in December. The company has confirmed that 19 platinum passes will be awarded in January 2018 and poker players have two options to win these passes. They can either player online poker events or live tournaments sponsored by PokerStars to see if they can win one of these special PSPC platinum passes. In regards to the live event paths towards getting a platinum pass, 1 platinum pass from the Italian Poker Open on January 3-8; 1 platinum pass for the ACOP Platinum Series 20 on January 5-14; 5 platinum passes for the PCA Bahamas 2018 on January 6-14; 1 platinum pass for PokerStars MEGASTACK Ulster on January 12-14; 3 platinum passes for the PokerStars Festival in London on January 22-29 and 2 platinum passes from the BSOP Sao Paulo event on January 25-30. Poker players who prefer playing online poker events will also have an opportunity to win platinum passes. The winners of the on-going Winter Series Main Event will receive 4 platinum passes. The Winter Series started on December 25 and will run till Jan 7. There will also be 1 platinum pass up for grabs at the Winter Series All-in Shootout which takes place on Jan 8. PokerStars will continue to make announcements for each month and confirm the online and live poker events that will have platinum passes to be won. This entry was posted on Monday, January 1st, 2018 at 2:14 am and is filed under Poker Promotions. You can follow any responses to this entry through the RSS 2.0 feed. Responses are currently closed, but you can trackback from your own site.